Acre partnered up with Busara to understand and test what was driving the lagging uptake of their Replanting Guarantee Product (RPG). Specifically, Acre and Busara wanted to understand ways in which to increase identification of the product, improve understanding of the product and clarify the valuation of the product as these three avenues were identified as key in unlocking higher registration levels of the RPG. A total of 12 different experimental designs were tested, using a range of behaviorally informed interventions. Automation and Disfluency -- By understanding what actions are automatic, we can nudge users into automatic actions that trigger further action or decision. For instance, in the case of a promotional card, framing it similar to an airtime scratch card triggers an immediate response to engage, rather than dispose the card. Social Signals -- Insurance is often perceived as a high risk activity that only elites or other "out-group" populations entertain. 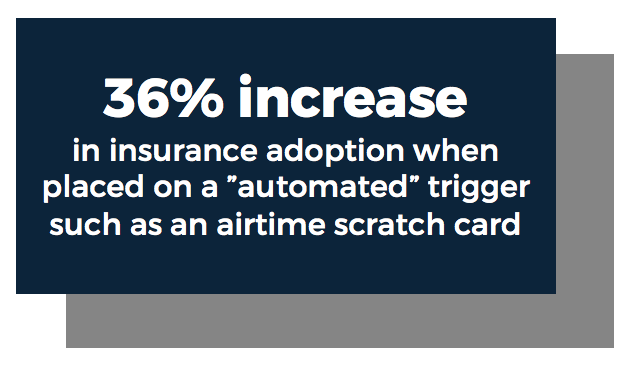 By sending certain signals or prompts to clarify the frequency and normalcy of insurance, we lower the barriers for new consumers. 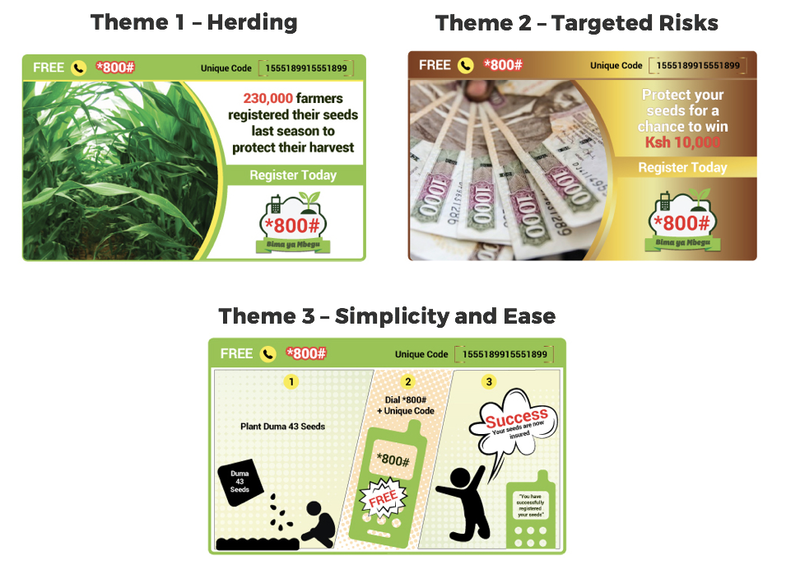 Upon identification of the main themes, we carried out tests by randomizing the design of the card that would be placed in the individual seed bag. Given that each card had a unique code, we were able to uniquely identify the treatment based on the code that was redeemed for the insurance premium. There were three primary testing groups, each cross-randomized by language (English vs. Swahili), as well as scratch vs. no-scratch, split evenly across 800,000 seed bags distributed in late 2015.